ArtTactic’s Auction Analysis Reports summarise, analyse and compare recent auctions from the key auction houses for each specific geographical region. By collecting and graphing data including volume of sales, average price and bought in rates, the reports are able to judge the success of auctions by comparing the final results to pre-sales expectations. Christie’s is currently maintaining its position as the leading auction house in the Middle Eastern Modern and Contemporary art market. Although the total sale volume is significantly down from 2010, the recent Christie’s auctions proved that there was still broad demand and interest in art from the region. 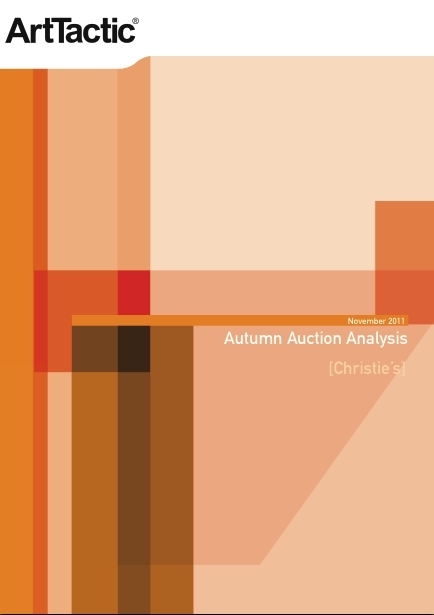 The November 2011 Auction Analysis report provides fully updated results and analysis from Christie’s most recent Middle Eastern sales.